I grew up around cactus (mostly the prickly pear kind) and I never thought of it as beautiful then, but ya know, being away from it a while has improved my opinion. If you really look at a cactus you'll see all kinds of beautiful greens in there! You can see this painting for sale HERE. Hi Elise, this is a wonderful painting with stunning colors! I love it! Very pretty...love the color of the frame you put it in too! This is beautiful ! Thanks for stopping by my blog earlier ! I love finding out that bloggers i follow are LDS too. I'm french so it doesn't happen very often! Hey thanks! It's always good to meet another member of the church! 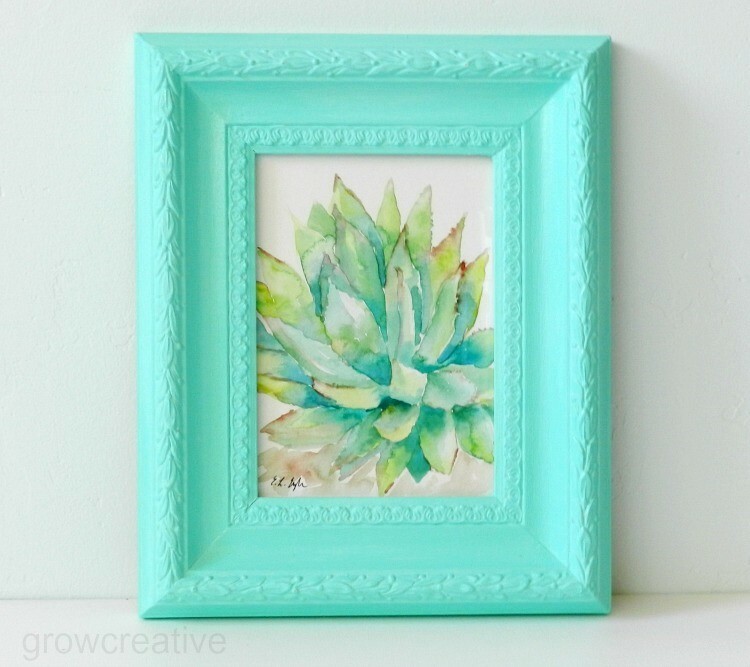 This is beautiful and I love it in the teal frame! Beautiful painting! Love all the different greens, and the frame compliments it really well! Wow, this is absolutely beautiful! You are really talented.